Acquisition Logistics, the pre-deployment element of Total Life Cycle Systems Management (TLCSM), and one of six transformation initiatives under DoD’s Force-Centric Logistics Enterprise. It’s a multi-functional, technical management discipline associated with the design, development, test, production, fielding, validation, and improvement/modification of cost-effective systems. System sustainability is an essential element of performance (it may be stated as a Key Performance Parameter). The Program Manager (PM) assigns responsibility for the factors affecting sustainability to the Acquisition Logistician. Emphasis is on increasing reliability and reducing logistics footprint in the systems engineering process, and providing for effective product support using Performance Based Logistics (PBL) strategies. 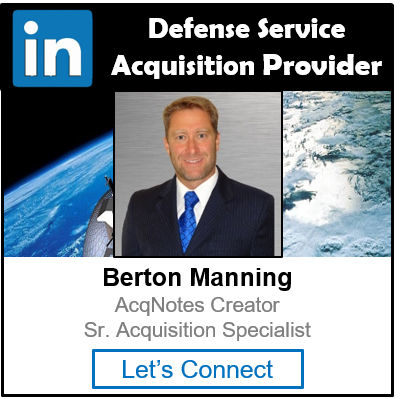 The Defense Contract Management (DCMA) personnel should ensure that all aspects of acquisition logistics are addressed during development and production, and that the PM is fully informed of the logistics impact of design trade studies. DCMA personnel should participate in the process of systematically identifying and assessing logistics alternatives, analyzing and resolving logistics deficiencies, and managing logistics throughout the system’s development and initial deployment cycles. Lead responsibility during Engineering, Manufacturing and Development (EMD) Phase should be taken by a logistics engineer and by an acquisition logistician during production. Acquisition Logistics support is provided on major programs up to and including the Production & Deployment Phase, although DCMA activities are concentrated in the Engineering, Manufacturing and Development (EMD) Phase. Sustainment Logistics is provided by users during the Operations & Support (OS) Phase and is not addressed in this chapter. Decisions affecting the majority of life cycle cost are made during development. DCMA should aim to optimize system performance by ensuring that sustainability is given equal weight to other performance parameters during design trade studies. Validation of logistics products to be delivered will ensure that design data is effectively transferred to sustainment documentation.